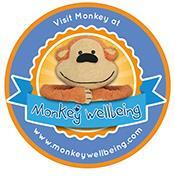 Our vision is for Monkey to help improve the wellbeing of primary-aged children. Monkey’s mission is to help build the confidence, knowledge, experience and thus wellbeing of primary-aged children, helping them to deal with as many of life’s challenges as possible. Monkey was born when our daughter was facing major surgery at just 18 months old. As parents we felt out of control, worried and afraid but not helpless. So with determination, imagination, a toy Monkey and a homemade storybook our little girl as able to face her frightening challenge much more confidently than might have been the case. Through this experience it became clear that Monkey could become a catalyst to help other children through a great variety of challenges in their lives. 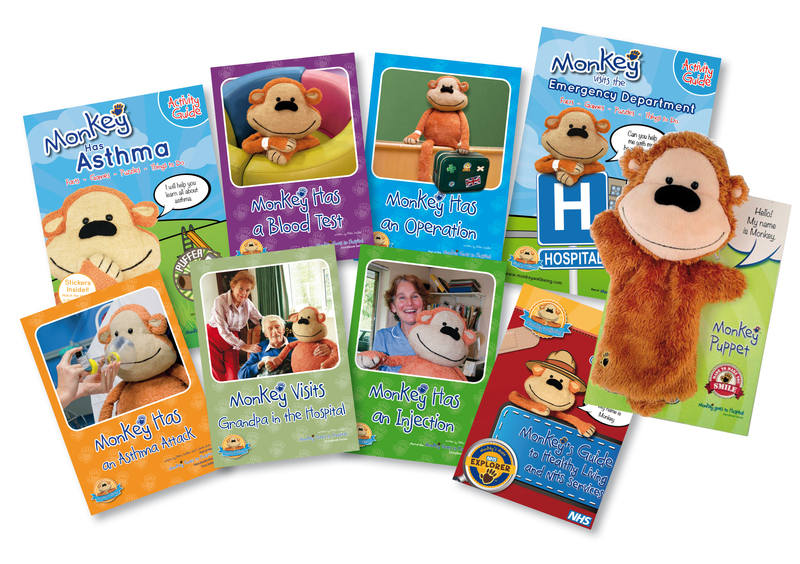 Monkey has a range of storybooks relating to health including; having an operation, a blood test, injection and asthma. There are activity guides with stickers and certificates and Monkey even started school in September. This coming year Monkey will have a hearing test, an MRI scan and visit the dentist to name a few! Monkey is very resilient and always has a big smile and a cuddle for his friends.